Henry Harrison was born in Holywood, County Down, and was educated at Westminster School and Balliol College, Oxford, and he became secretary of the Oxford Union Home Rule Group. He was elected Nationalist member of parliament for Mid-Tipperary in 1890, but in his support of Parnell, lost his seat in 1892. In 1915 he joined the Royal Irish Regiment and won the Military Cross. 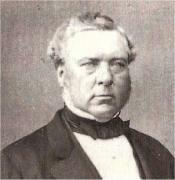 He became known as Captain Harrison and later became Irish correspondent of The Economist. He defended Parnell at all times and in 1931 published Parnell Vindicated: The Lifting of the Veil. A second book Parnell, Joseph Chamberlain and Mr Garvin and a further book, Parnell, Joseph Chamberlain and 'The Times' followed. Trinity College, Dublin gave him an honorary doctorate in 1953.